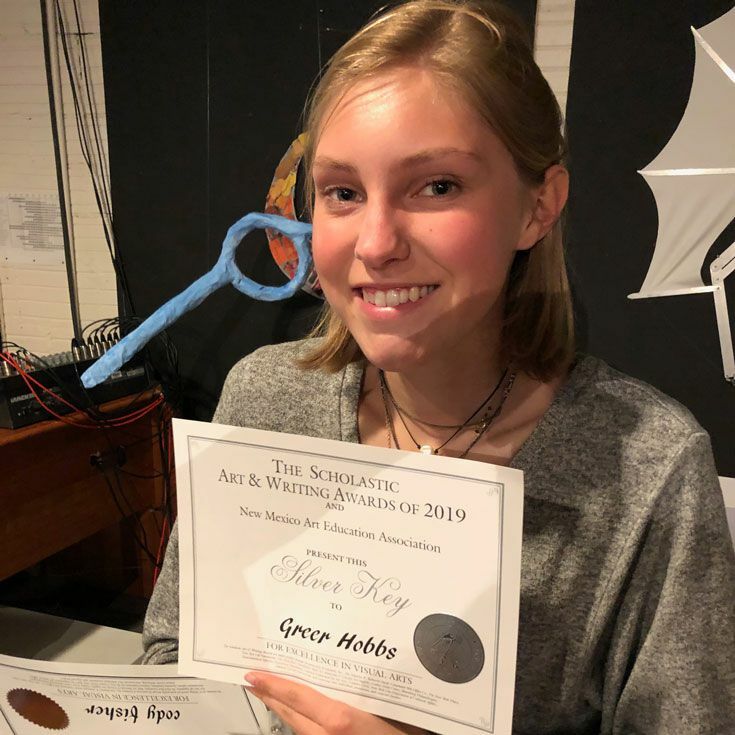 More than a dozen outstanding Bosque artists were recognized last weekend with Scholastic Art Awards in categories ranging from photography and painting to ceramics/glass and sculpture. 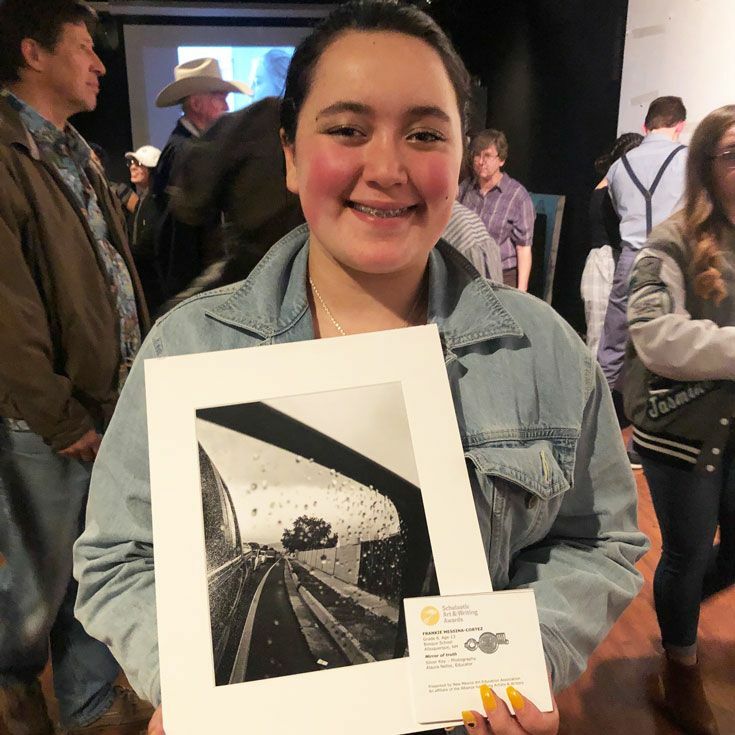 The event was held at Warehouse 508 in downtown Albuquerque and was sponsored by the New Mexico Art Education Association (NMAEA). Bosque students earned awards in all three categories: Gold Key, Silver Key, and Honorable Mention. In some cases, students received recognition for multiple submissions in the same category. Gold Key, Silver Key and Honorable Mention award recipients are recognized with “keys” or ribbons and certificates at the regional level during the ceremony. 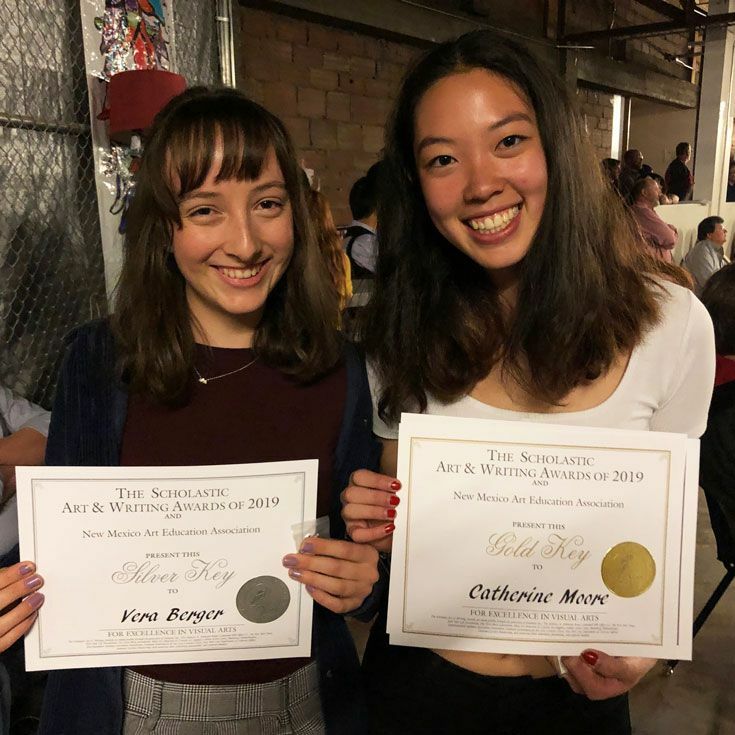 Catherine ’19 was one of only four students to receive special recognition: the NMAEA President’s Choice Award of Excellence in Art. Bosque upper school’s art teacher Sasha Custer also received recognition for her outstanding work. Read more about that award in the faculty spotlight. 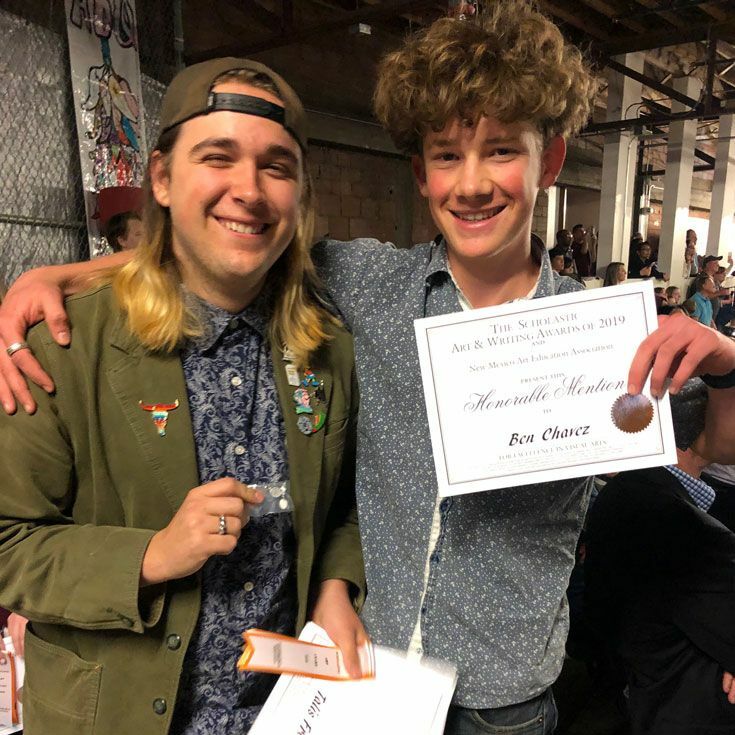 Organized by the Alliance for Young Artists & Writers, the Scholastic Art & Writing Awards were established in the early 1920s to encourage, foster, and reward creativity in our nation’s classrooms. It is the largest, longest-running, and most prestigious student-recognition program in America. 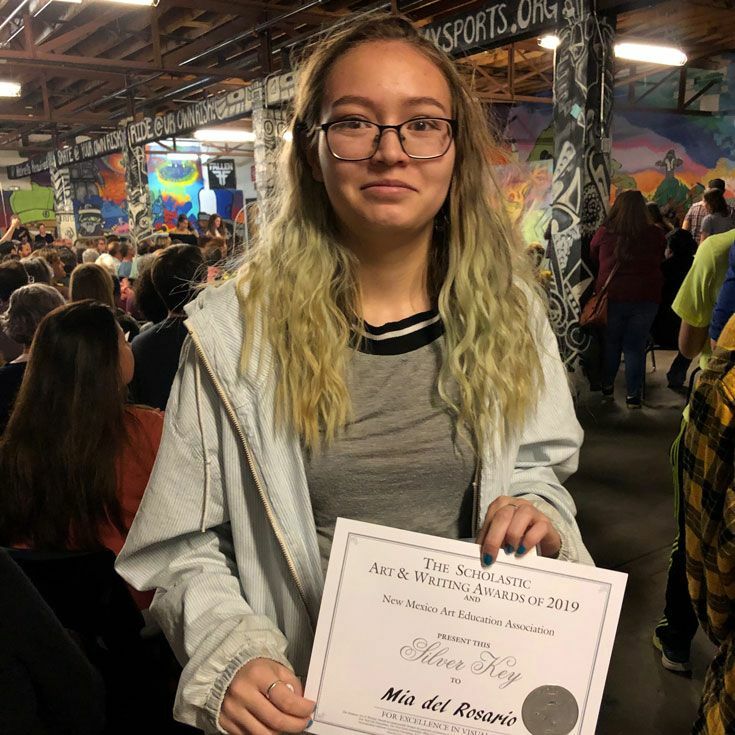 Congratulations, Bosque artists! Pictured are those who were present at Saturday’s awards ceremony. The following is a list of all award winners in their respective categories.